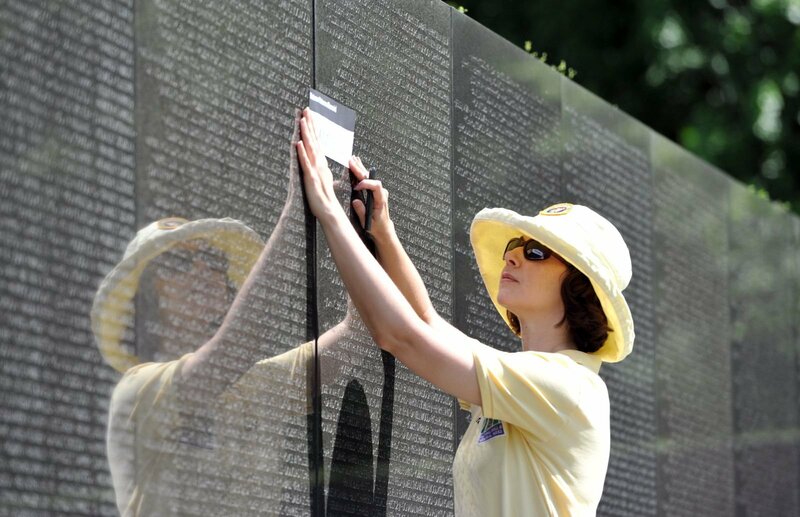 When the Wall was dedicated in 1982, there were 57,939 names inscribed. At the time, approximately 1,300 names were designated as servicemen who were either missing or prisoners of war. The essence of the Wall is the names and the reaction of the visitor to seeing his or her reflection in this sea of remembrance. Millions more come to experience this Memorial each year. Some are drawn to the Wall like pilgrims to Mecca. Others think it is just another tourist stop until they feel the haunting power of this unique work of remembrance. Lin’s intention from the beginning was to have the names appear chronologically, beginning and ending at the apex. She wanted the names to tell the journey, or the timeline, of the war. This approach would allow veterans, friends and family members to find a loved one by his or her date of casualty. 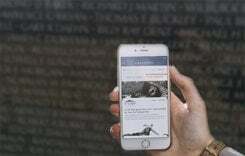 It would also enable veterans to find groups of friends who died during the same incident. Fallen comrades could be together on the Wall, as they’d been in death. And there would be nothing to denote service or rank. No single person’s service or sacrifice would be any greater than anyone else’s. All would be represented equally, with generals listed alongside infantrymen. Lin’s vision prevailed. The names are listed in chronological order, according to the date of casualty. This is “the genius of Maya’s design,” said Scruggs. 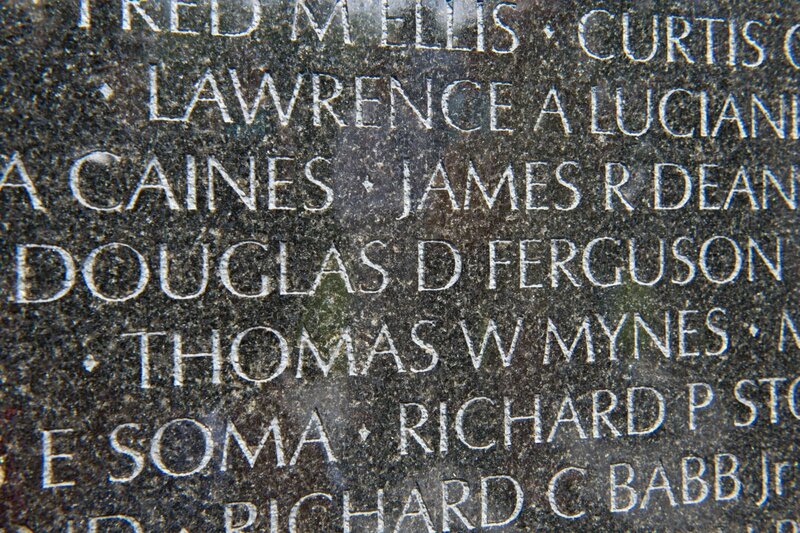 Some common names appear on the Memorial more than once. Chronological order by date of casualty allows friends and family members to pick out their loved one from all of the others with the same name. 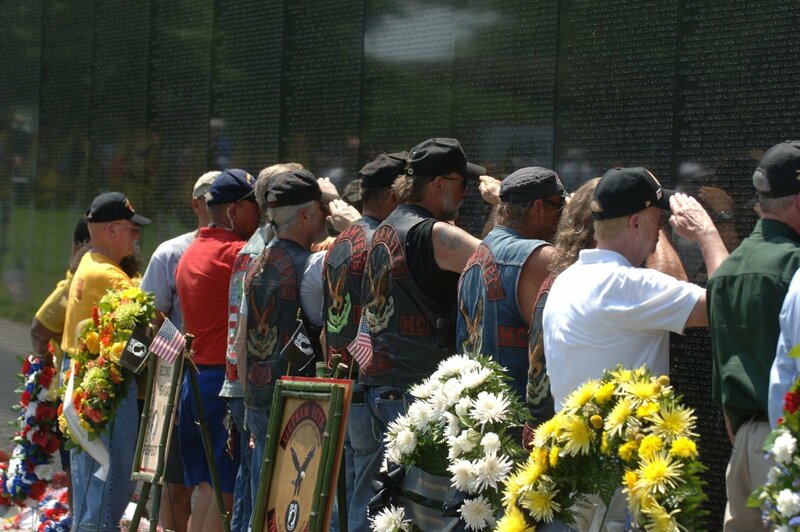 Our nation honors the courage, sacrifice and devotion to duty and country of its Vietnam veterans. This memorial was built with private contributions from the American people. November 11, 1982. Beside each name is a symbol that denotes a service member’s status: either missing or confirmed dead. On the west wall, the symbol precedes the name; on the east wall, the symbol follows the name. A diamond symbol signifies that the service member's death was confirmed. Those designated by a “plus” sign were considered to be missing in action when the war ended. In the event a service member's remains are returned or accounted for, then a diamond symbol is engraved over the plus sign. Several hundred such designation changes have been made since the Wall was built in 1982. If a service member were to return alive, a circle—the symbol of life—would be inscribed around the plus sign. However, there have been no such cases. Doubek was tasked with identifying all of the names to be included on the Wall. During and after the Vietnam War, the Department of Defense (DoD) compiled a list of combat zone casualties according to criteria in a 1965 Presidential Executive Order. It specified the geographic areas of Vietnam, Laos, Cambodia and surrounding coastal areas as combat zones. If a person died or went missing in those areas, DoD considered that individual to be a combat zone casualty and eligible for inclusion on the Wall. Unfortunately, the Department of Defense and the individual service branches maintained separate casualty lists with slightly differing criteria. This was long before the advent of integrated computer databases. 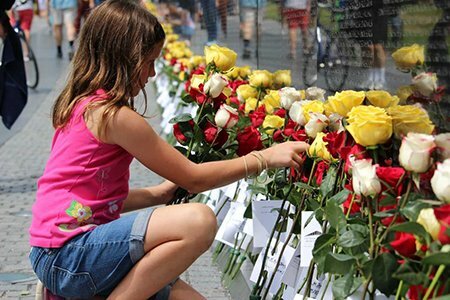 The result: no comprehensive master list of Vietnam War casualties existed. The job of cross-referencing the information of individual branches with the DoD fell to Doubek. Compounding these difficulties was the issue that many casualties, particularly from the Air Force, were not always straightforward in terms of locale. “In order to have your name on the Wall, you had to have died within the ‘war zone,’” explained Doubek. “But you had stories of guys in the Air Force who would die in their aircraft over Thailand after having been shot over Vietnam.” Technically, they were ineligible for inclusion on the Wall. For those and a handful of other unique circumstances, Doubek made his own list of men who had died due to the injuries in the combat zones—names that may have been listed by an individual service branch, but not by DoD. With this list in hand, he went to the various locations where individual service records were kept to review files. “I looked at the record to determine whether mortal wounds were sustained,” Doubek said of the men whose names were listed by the Army, but not by DoD. He tried to make the best call he could when adding names to the list. Unfortunately, he mistakenly added a small number of names of men who were still alive. To put a circle around the symbol beside their names would not provide the correct historical context related to their situation. Their names, however, have been removed from the printed Directory of Names. Another challenge was ensuring the accuracy of the names. Doubek contacted the National Personnel Records Center, Archives and Records Service, in St. Louis, Mo. On the other end of that phone call was an former Air Force officer who had served in Vietnam. He would become instrumental in helping Doubek identify names and check spellings. Once a master list was compiled, the names were checked manually for errors. “We worked very hard with volunteers from the Gold Star Mothers,” recalled Doubek. For weeks and weeks, a team worked through the list, verifying spellings and ensuring that the computer printout that was to be used for the stenciling was correct. During one review, Doubek found a glitch with the computer software: it did not recognize the spaces that appeared within a last name, such as “van der Meide.” Nor could it properly discern a compounded first name, such as Billy Bob, versus a traditional first and middle name. As a result, the software improperly truncated or abbreviated names. With the glitch discovered, Doubek and his team located and hand-corrected each error. On the stencil printouts, each line contained five names per row. In some instances, names needed to be shuffled in order to fit on a line. If a name was particularly long, it would be swapped with a shorter name. “I went through the whole list of names eight times, because I was concerned about the correct formatting,” remembered Doubek. 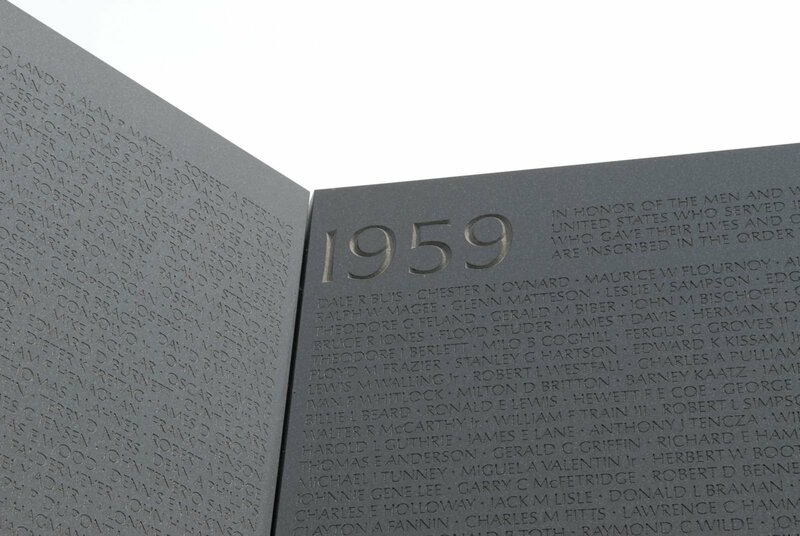 As of 2017, there are 58,318 names inscribed on The Wall. The first group, added in 1983, included 53 Marines who were killed when their R&R (rest and relaxation) flight crashed in Hong Kong. A few years after the dedication, the issue of geographic criteria was expanded by DoD to include people who had been killed outside of the war zone while on or in support of direct combat missions. This change prompted the addition of 110 names in 1986. 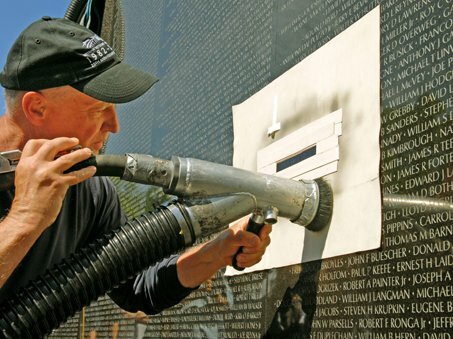 VVMF receives numerous requests each year from individuals who wish to have particular names added to the Memorial. While VVMF finances the name additions to the Wall, it is the Department of Defense that makes these difficult and often technical decisions. VVMF does not have the authority to overrule those who adjudicate these matters. 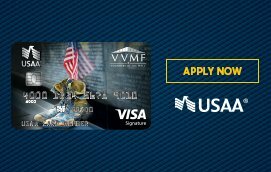 Once additions are approved by DoD, VVMF receives the list of approved names, coordinates the inscribing and absorbs the costs. Names that become eligible for inclusion are added once each year, in May, a few weeks before Memorial Day. Family members are invited to witness the inscription and also to attend the annual Memorial Day ceremony when the new names are read at the Wall. 1. 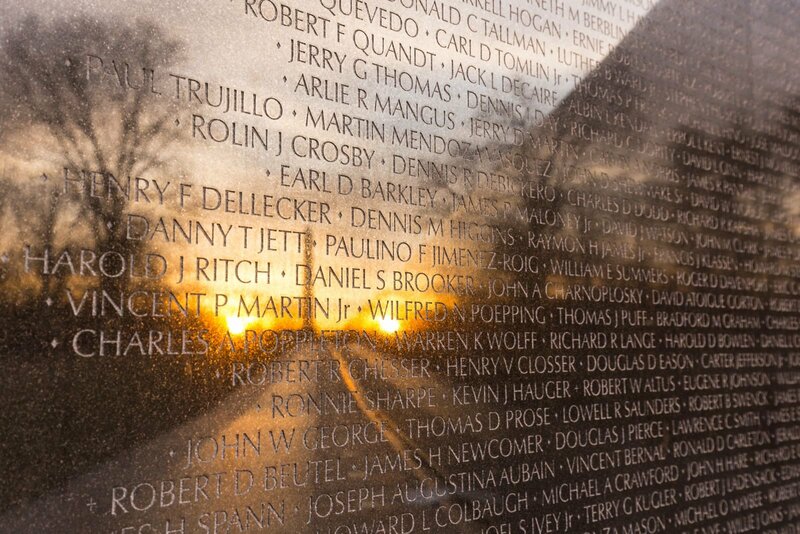 Look up the name in the Vietnam Veterans Memorial Directory of Names. These directories are located at both ends of the Wall and contain an alphabetical listing of all the names on the Memorial. 2. Note the panel and line number for the name listed. The panel number is a number/letter combination, such as 10W or 35E. "W" denotes the west wall, and "E" denotes the east wall. 3. Locate the corresponding panel at the Memorial. The west wall is on the left when standing facing the vertex, and the east wall is to the right. The panels are numbered beginning from the center out toward the ends of each wall. The panel numbers are inscribed at the bottom of each panel. 4. Locate the line on which the name is inscribed. Count down from the top of the panel. Inscribed dots in the margins of every other panel mark every 10 lines to aid in counting.